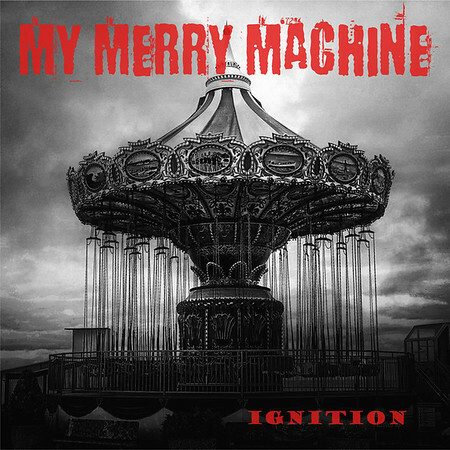 German band My Merry Machine self-released their debut album “Ignition” on their M³ label on 28th September. The band brings together three of the original members of the band Bloodflowerz. The track “Pictures in My Mind” was included on the Friday NI Rocks Show on 5th October. Singer Kirsten Zahn, drummer Tim Schwarz and guitarist Markus Visser had all been founding members of the band Bloodflowerz and decided to get back together to work on new music. That led to the formation of My Merry Machine, a project for which they brought on board bass player Georg. Bloodflowerz was active from 2000 to 2007 and then reformed in 2013 and the band has released three studio albums. Kristen still sings for the band, but Markus left in 2005 and Tim in 2014. The My Merry Machine tracks have been described as “varied and surprisingly mature compositions, full of power, soul and atmosphere, all the way to melancholic, covering all facets of a modern metal band”.